RARE! 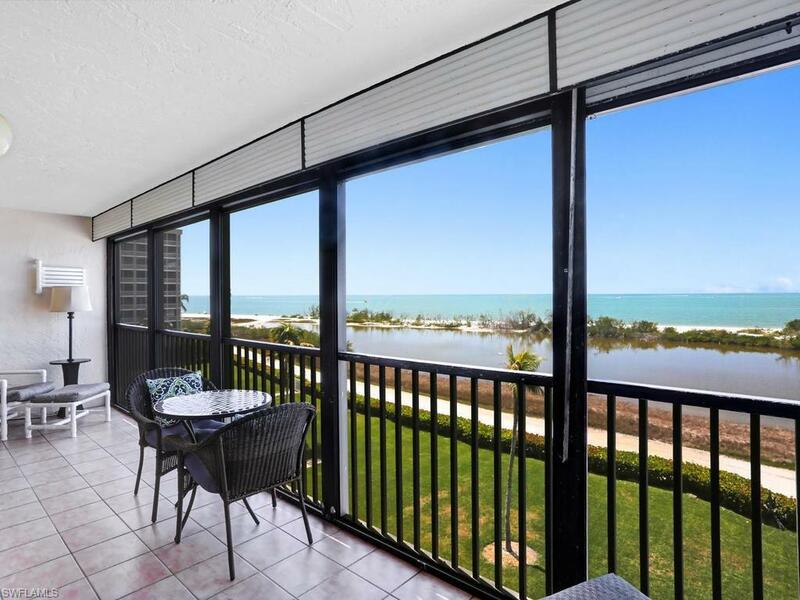 Updated, large, highly sought after, END UNIT with endless unobstructed, Gulf front views! The Screened Lanai is full length of the entire unit! Rarely available end unit that is located on the 5th floor & is over 110 sq feet bigger than the interior units and has been extensively remodeled and is being sold turn-key furnished. New flooring, freshly painted, new doors, new closet doors, baths have been updated plus much more! Master bedroom has breathtaking views that will leave you speechless. Relax and watch dolphins play, boats zip by from your expansive lanai that boasts roll down hurricane shutters. Whether you are starting the day with your morning coffee or enjoying sundowners with your friends as the sun sets, this lanai is truly the perfect location to capture and share these moments. 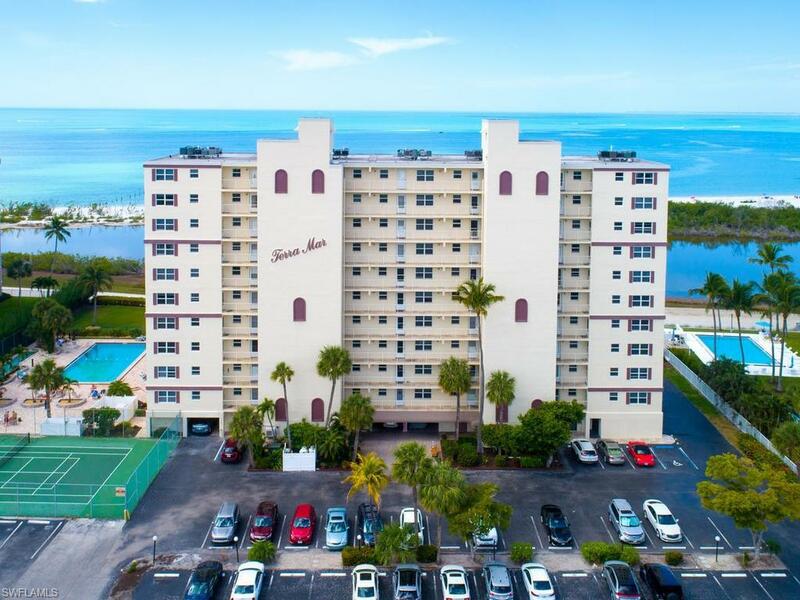 Amenities include 2 secure access elevators, community room, pool w/paved lanai, sauna, secure gate to the white sand beach. Also at the pool area, enjoy an outdoor shower as well as 2 gas grills. 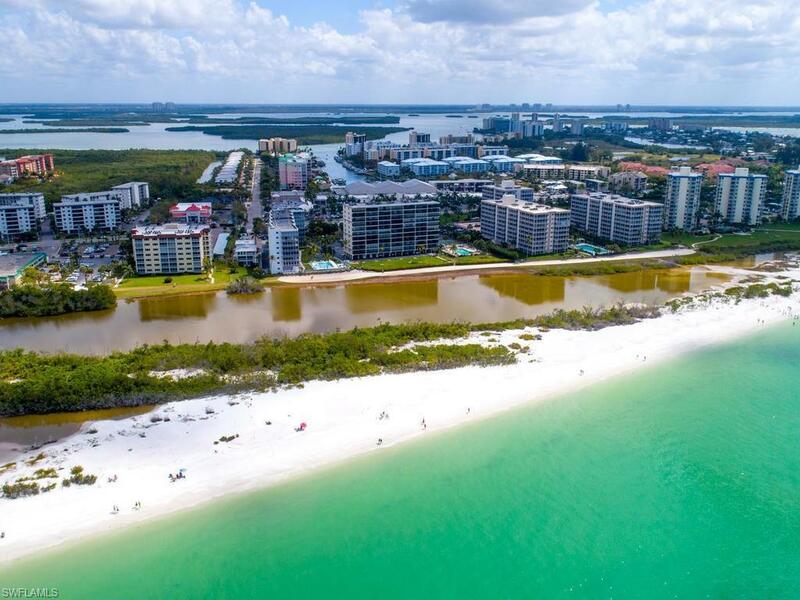 This is a pet-friendly complex for owners and is across from Santini Plaza that has various restaurants, shops, marina and more!Don't let this rare opportunity pass you by. Listing courtesy of David Piper of Amerivest Realty.